It’s official: I completely lost my mind and purchased an additional six goats for my pack string. I already had four, now I have ten. The Gang of Six (G6) as I call them, are babies (“kids”) and will be full-grown in another three years. These will become my primary packgoats when my current four get old and grey. 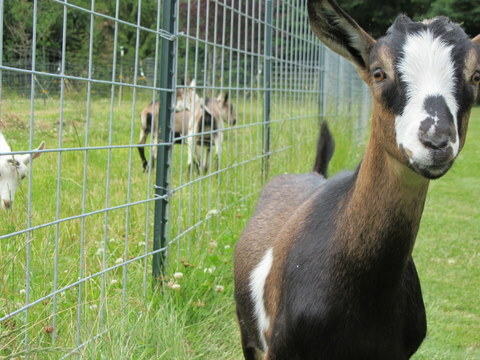 Let me start by saying, baby goats are AWESOME! Not only are they cute, but they’re tons of fun to play with. These goats are “bottle babies”. They were bottle fed at least once/day from the time they were born, to make sure they would bond to humans. They are now between four and five months old and they love to be around people. 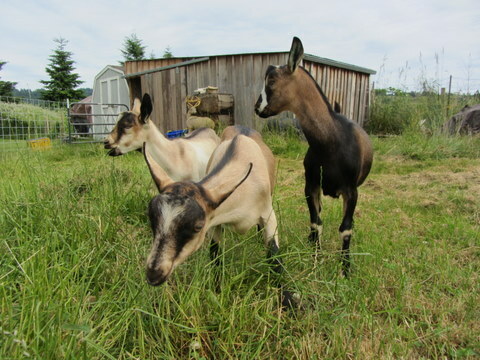 I go out into the pasture with them every day to pick them up, scratch them, and chase each other around. As kids, they are very much into experiencing the world through nibbling….constantly. Walk into the pasture and they will surround you, then nibble on your shirt, pants, shoe laces, and hands. I put up a grain feeder for them and the first thing they did was try to nibble it to death, then they tried to destroy it by jumping on it. I’ve rebuilt it twice now. These little biters are hell on equipment. They are also masters of escape. 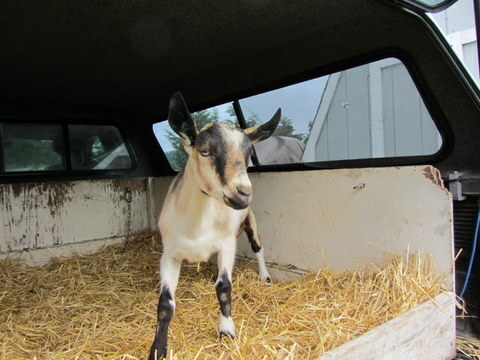 It took a little less than ten minutes for the first goat to escape the pasture by jumping into the hay feeder and then jumping over the top to freedom. The next week, another one found a tiny hole between the barn and the fence and made his escape (of course, I wasn’t home – THANK YOU, HONEY for wrangling the little weasel back into the pasture – LUV YOU!….I see another Coach purse purchase in my future…damn goat…) It’s also clear, that Thunder will be the alpha male. He’s friendly, aggressive, and the first one to cause problems. He was the first jump over the hay feeder, the first one to jump onto the grain feeder, the first one to break the grain feeder, and he’s the largest of the six. 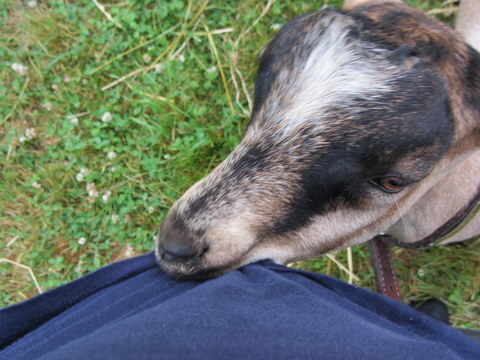 He was also the first to jump on me, which means me and him will be “going rounds” later in the man vs. goat wrestling match to determine who will be the alpha in the herd (hint: I’m undefeated and have no plans to lose or retire). 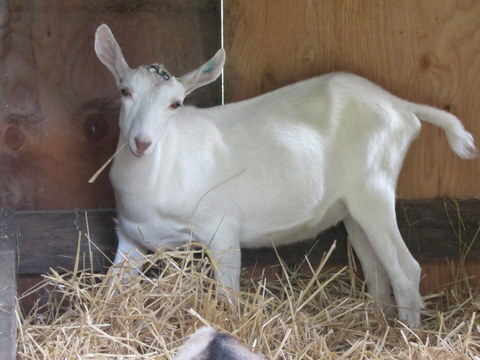 This entry was posted in Packgoats and tagged baby goats, goats, kid goats, packgoats. Bookmark the permalink. Put me down for a sawbuck on Thunder. And a Jackson on the Wife (“HONEY”). No, make it a C-note.